All his life, Brandon Russell dreamed of being a teacher, and when he tragically passed away at the age of 27, Brandon had already turned his dream into reality. For more than two years, he taught at an elementary school in Vermont, and he described his class and the school as a perfect fit to a family friend just over a week before his death. 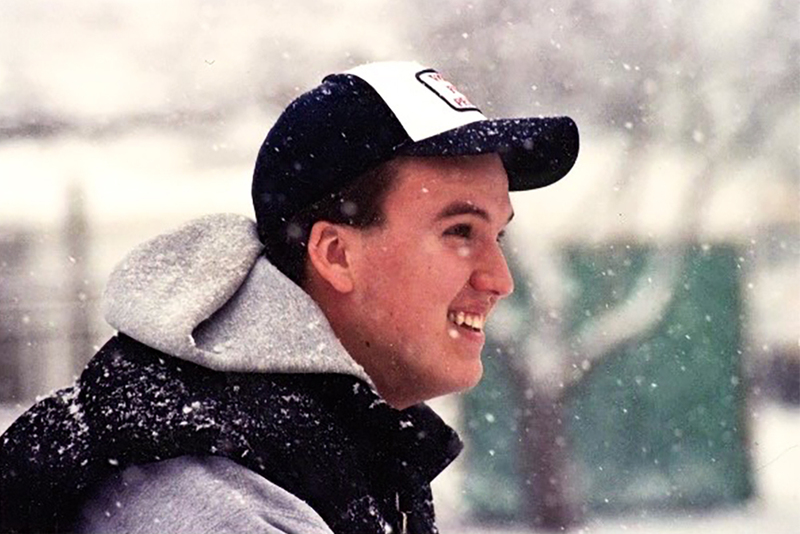 Remembered as someone who dedicated his life to teaching children and cared deeply for everyone around him, it’s only fitting that Brandon, who passed away in 2014 from a pulmonary embolism, continues to impact the lives of young students to this very day. 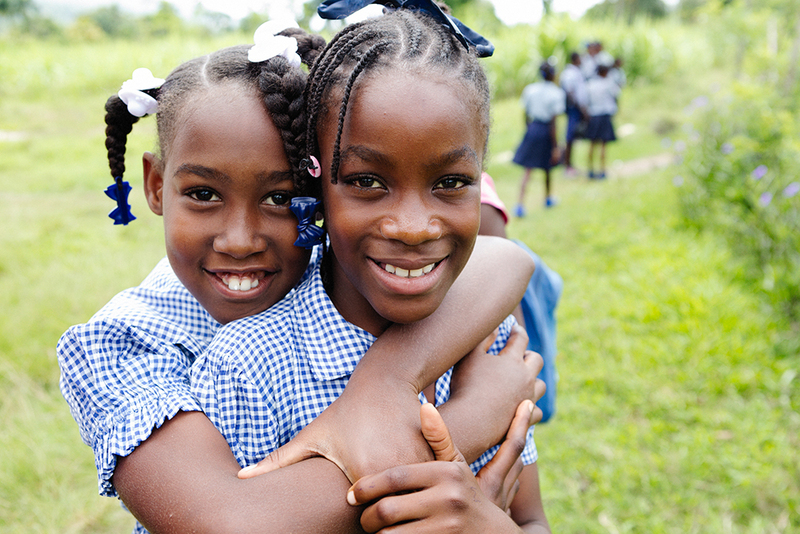 Only now, the students he’s impacting live in Haiti. 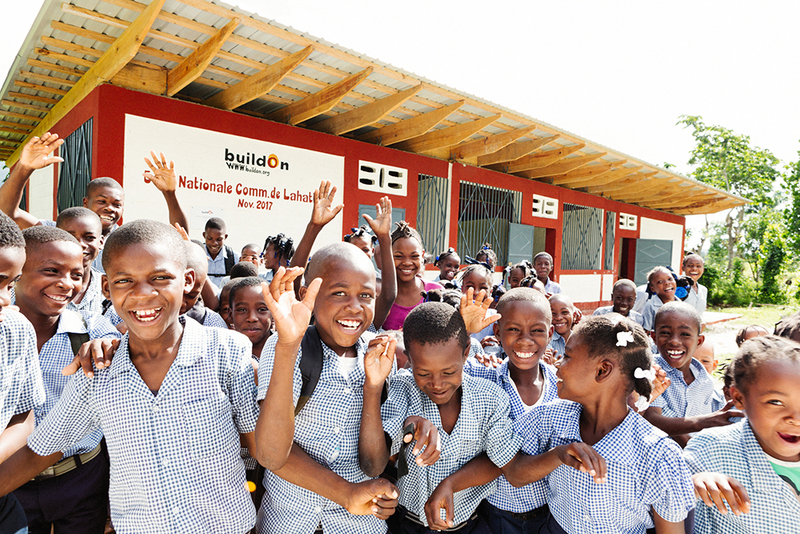 It was through her research that Tammy found buildOn, and she realized that building a school in honor of Brandon’s life was the kind of sustainable change that she was looking for. “It was perfect because Bran did a lot of volunteer work around women’s issues, and one of the components of buildOn schools is that girls attend in equal numbers as boys. That value system, it really matched Bran’s,” Tammy says. 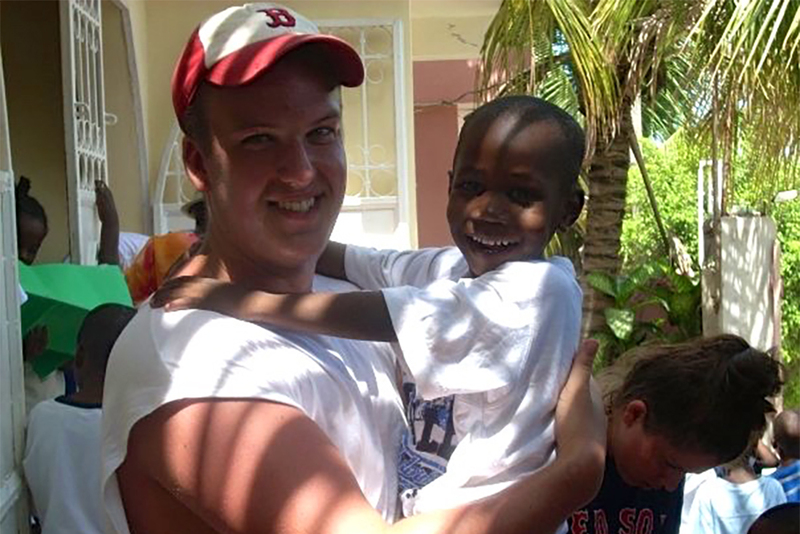 Above: Brandon traveled to Haiti on a service trip in 2008 while in college at Keene State. Because of the person he was, Brandon touched an incredible amount of people throughout his life, and when it came time to fundraise for building the school, it was a true community effort made possible by Brandon’s students, friends, former teachers, and family members. Brandon’s students raised money through car washes and bake sales. One of his students even went as far as to stack wood for an elderly neighbor, and when she asked if she could pay him for his work, he directed her to the fundraising website. Some of Brandon’s best friends from college organized a wiffle ball tournament and donated the proceeds. Tammy and Tad raised money through a raffle that included donated tickets to a New England Patriots game. And countless other students, former teachers, coworkers, and friends raised funds on their own to contribute to the school. In the end, there were more than 300 contributions. And just as raising the funds to build the school was a community effort, so was the actual school construction. U.S. buildOn students from Chicago traveled to the village of Lahatte/Aquin in Haiti to work side-by-side with local community members on the construction of the new school on Trek. 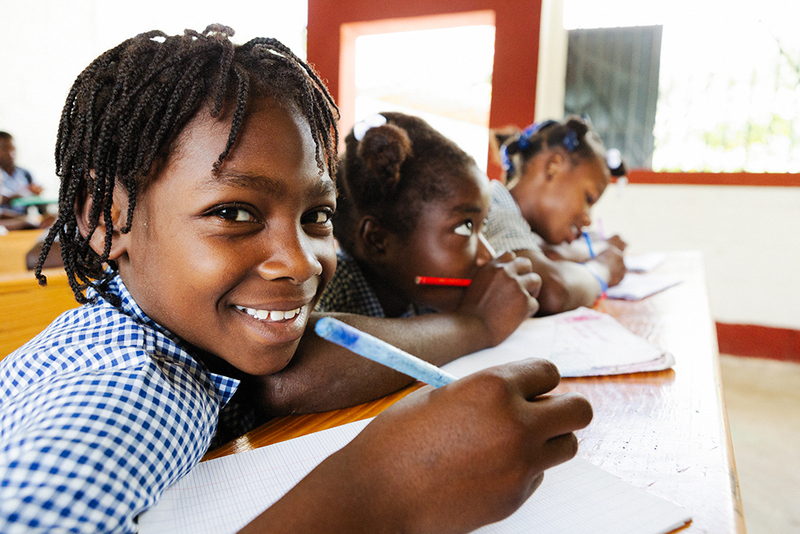 For the Chicago students, who had already dedicated themselves to serving their own communities and neighborhoods in the U.S., building a school in Lahatte/Aquin was life changing. After the students left the community, the construction of the school became complicated and delayed. 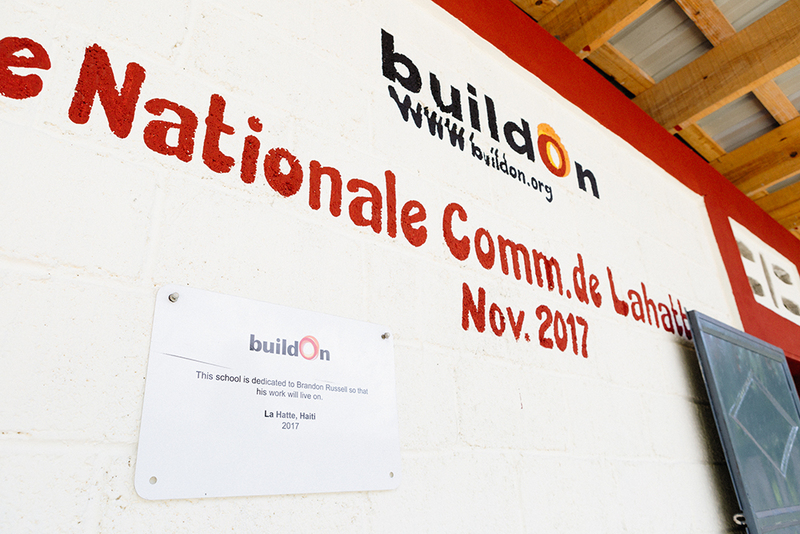 But ultimately, the community in Lahatte/Aquin pulled together and persevered to finish the construction of the school on April 10th, 2018. Now, nearly 200 students are in attendance every day. “Bran had his struggles in his life. And getting his teaching degree did not come easy. It’s fitting since Bran had to struggle to realize his dream that the school would have its challenges as well,” Tammy says.